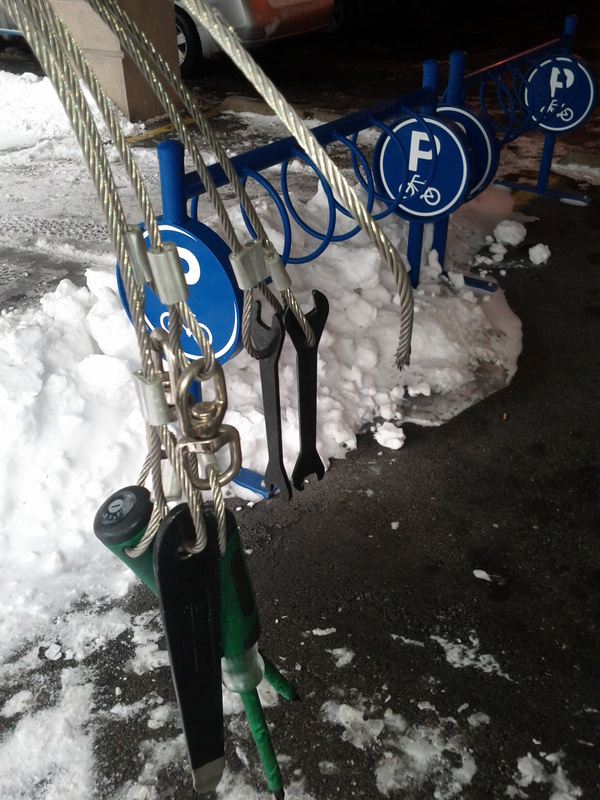 If Chris from Light and Wheels hadn’t highlighted Waterloo’s public bike repair stand and tools I probably still wouldn’t have noticed as I rarely (if ever) venture into Uptown’s parking garage. 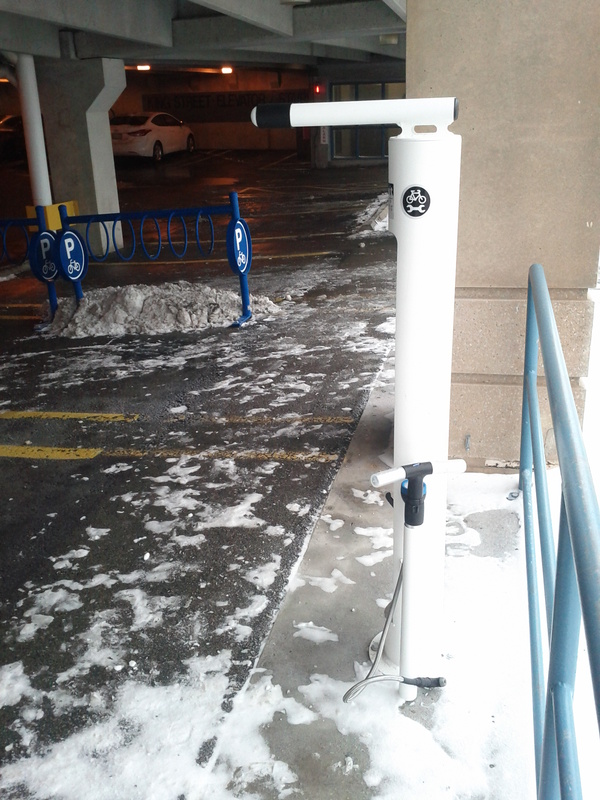 Sure enough, right by the parkade’s bicycle parking a white bicycle repair stand, some tools secured by wire cable and a quality air pump. I heard a rumour that the city of Kitchener is gonna be putting some of these things around town… second hand rumour so I dunno how true it is. Man, that would have been useful to know about when my crank fell off. I was right across the street in Waterloo Square! I was visiting uptown Waterloo on April 5th, and all the tools had been cut from their cables. 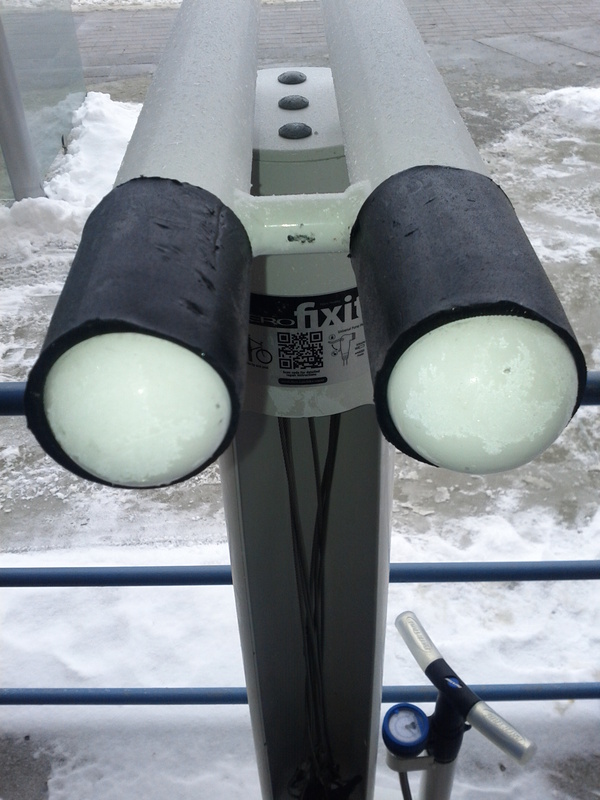 The pump was still in good shape though.